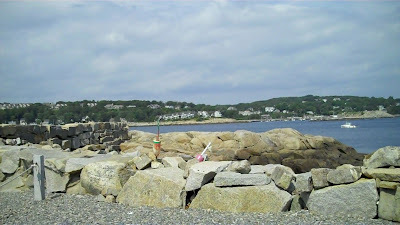 On a lovely late summer day, Little miss and I put the top down and took a ride to Rockport, Massachusetts. 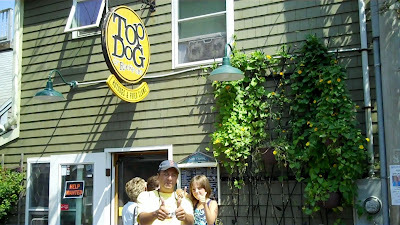 Many readers have told me I need to go to Rockport to try out Top Dog- so today was the day! Top Dog is located on Bearskin Neck in Rockport at 2 Doyles Cove Road. 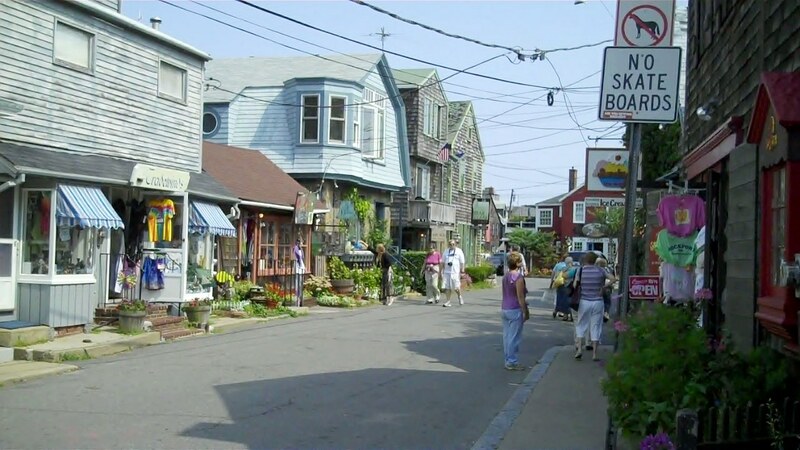 Bearskin Neck is dotted with art galleries, eateries, and all kinds of shops offering everything from tee-shirts to New England curiosities. 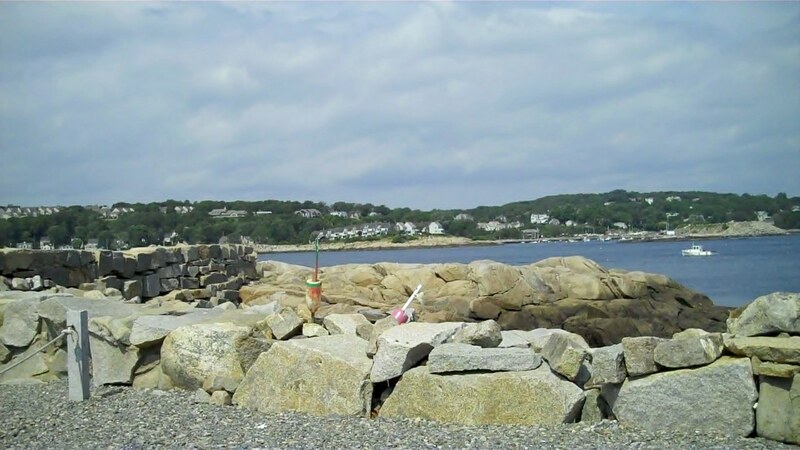 It's a great place to spend a day, and you can always hit the beach too. Rockport Harbor is picturesque and it has a lot of history. 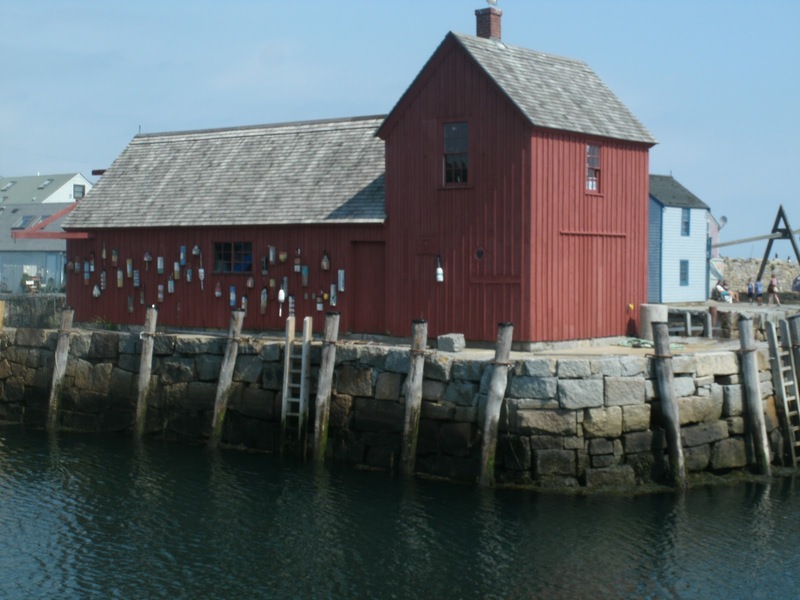 It's home to this old, red fishing shack- better known as Motif #1. It is the most painted and photographed building in the entire United States. 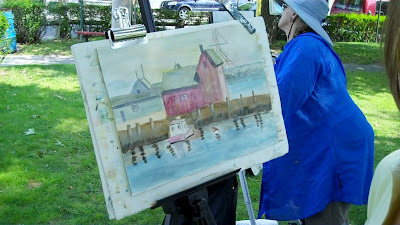 Just about everywhere in town, there are people painting Motif #1. The ladies painting in the park directed me to Top Dog, but I had a major problem. 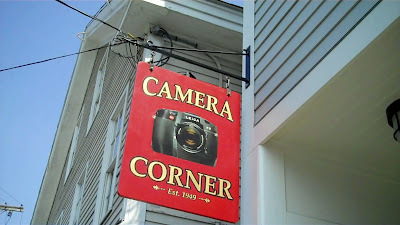 I forgot the piece of my tripod the connects the camera to the tripod. I didn't want to come all this way to do a "shaky cam" video, so I stopped in at Camera Corner to see if they could help. 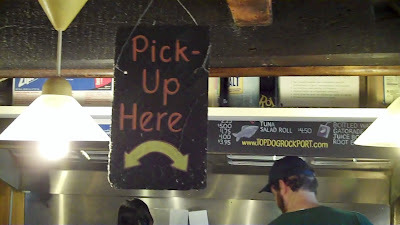 Much to my delight, the very nice lady in the shop gave me a tripod to use! Dodged a bullet there, THANK YOU CAMERA CORNER! 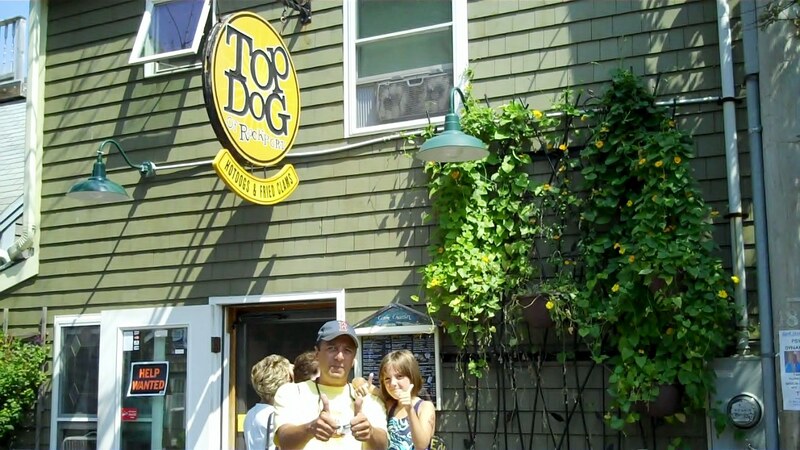 Finally, we made our way down to Top Dog. It is housed in a quaint, New England style shop typical of the architecture on Bearskin Neck. 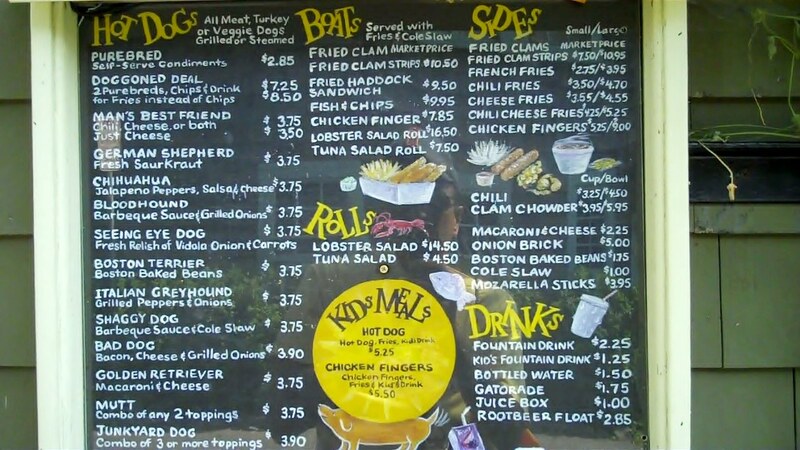 The menu features hot dogs, but they have many other items too. 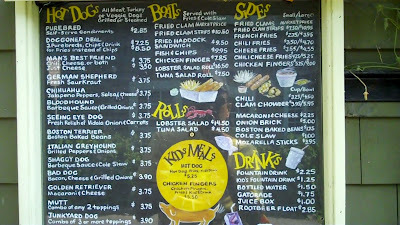 Many folks around town told me the fried clams are fantastic. 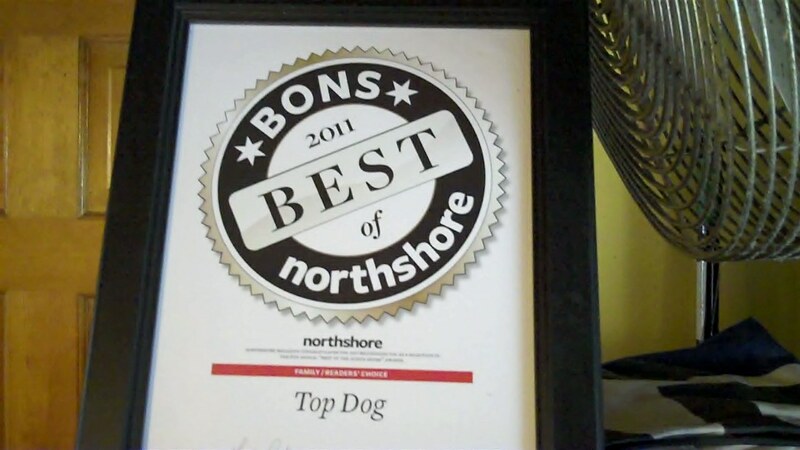 Top Dog recently won a Best of the North Shore award for best family restaurant in 2011. 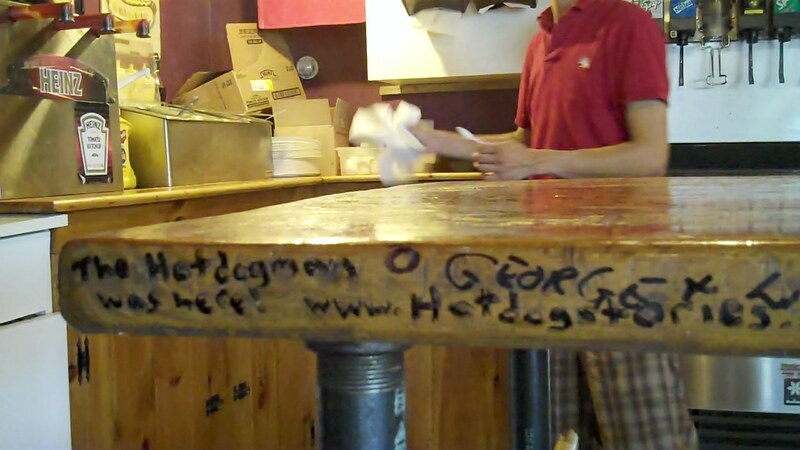 Owner Scott Lucas gave me a history of the place. He was very gracious and an excellent host. 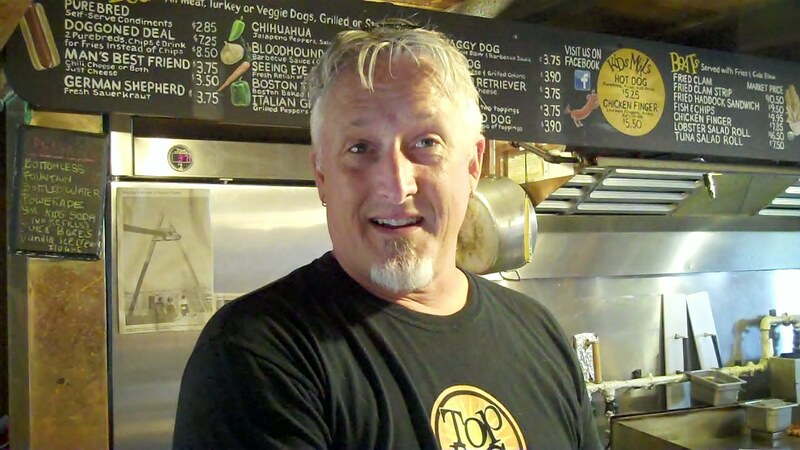 Scott claims he started the biz when he was "young and foolish and stupid." 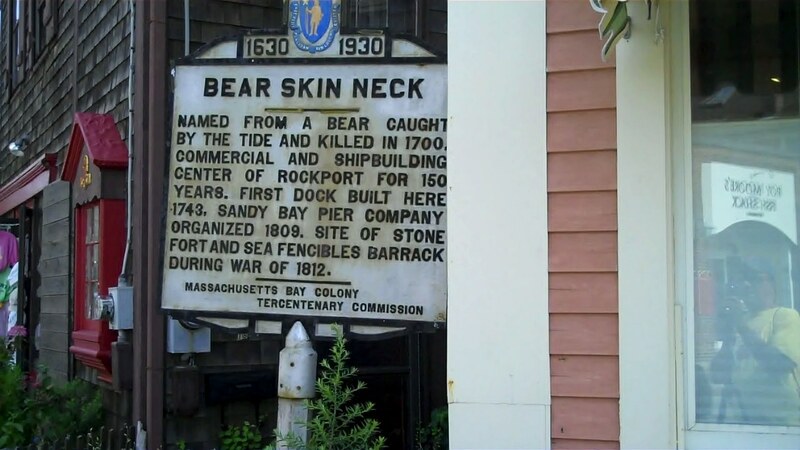 From the looks of the place, it was the best stupid move he ever made! 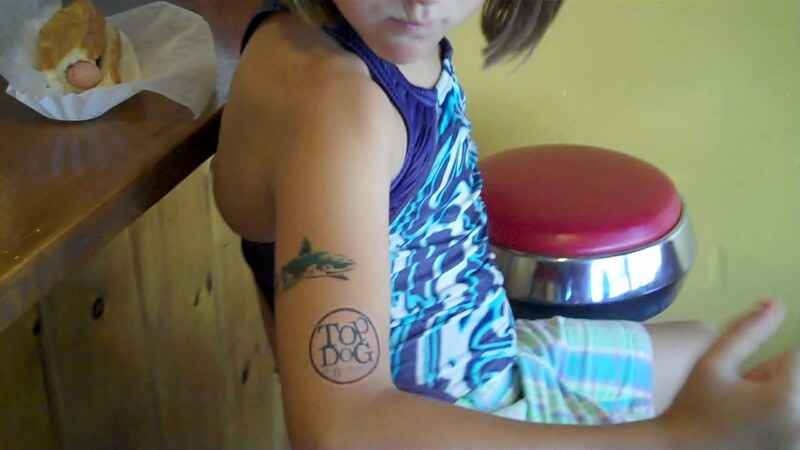 Top Dog is kid friendly- Scott hooked Little Miss up with a Top Dog tattoo. 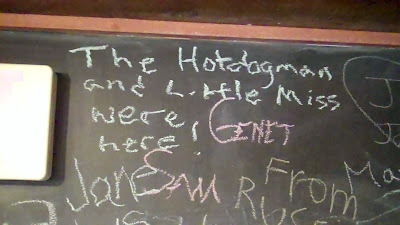 ...I left some grafitti too. 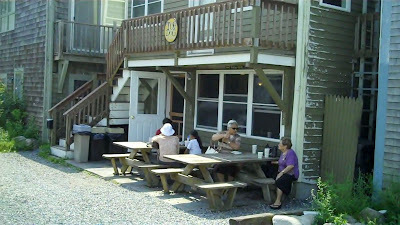 The Patio is very nice- especially on a glorious summer day. 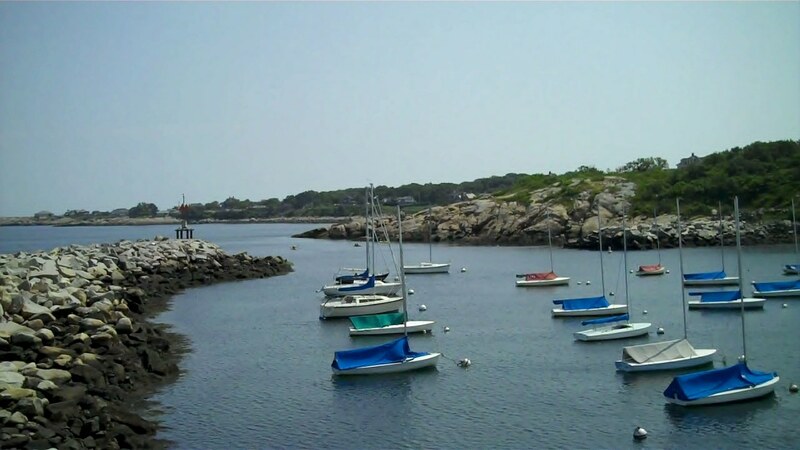 Here's the view from the patio- not bad. 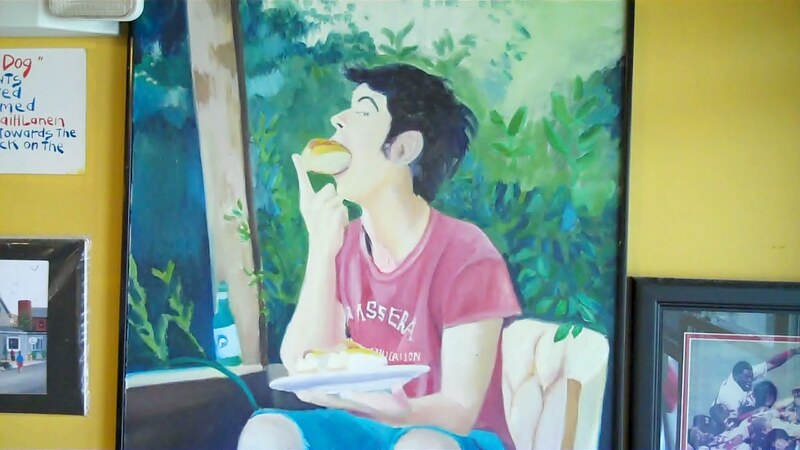 We met Lisa, the lovely and talented artist who painted this picture. After looking around and talking to patrons, it was time to pick up our dogs. Little Miss got the standard half mustard half plain. 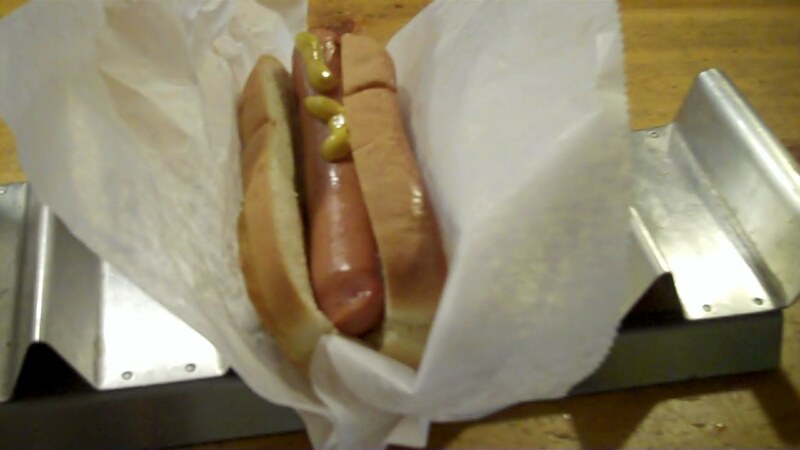 Scott made me a "Mutt" which was a Golden Retriever with bacon. 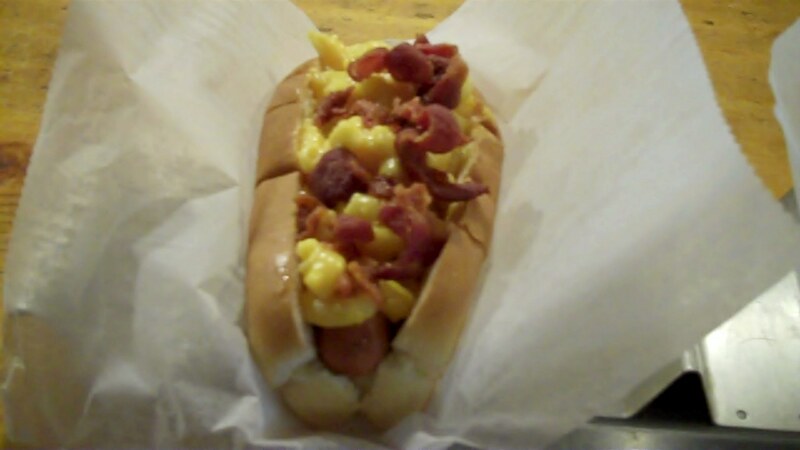 This is a dog topped with their home made macaroni and cheese and bacon. It was ridiculous! 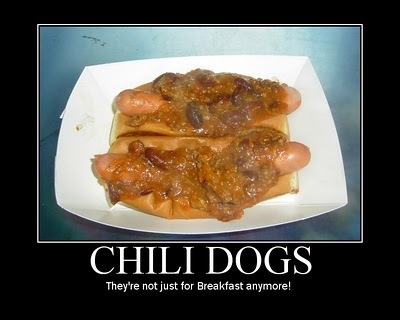 She called these "the best hot dogs ever!" I chowed down too. Creamy, fresh mac and cheese, bacon and a grilled Maple Leaf Frank on a grilled, split top New England bun. I can see why a lot of folks have suggested I visit here- this was one yummy dog! 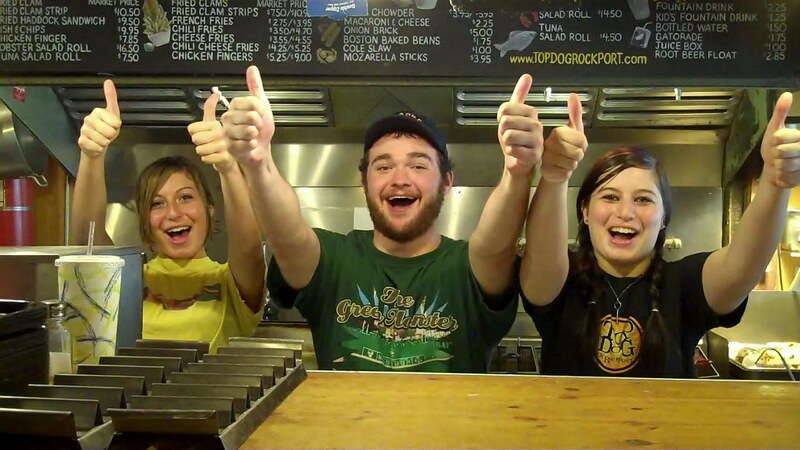 The staff was glad I enjoyed it. 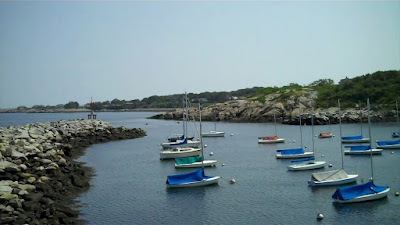 Rockport is a great summer day trip destination- it would probably be fun to stay there for a few days too. 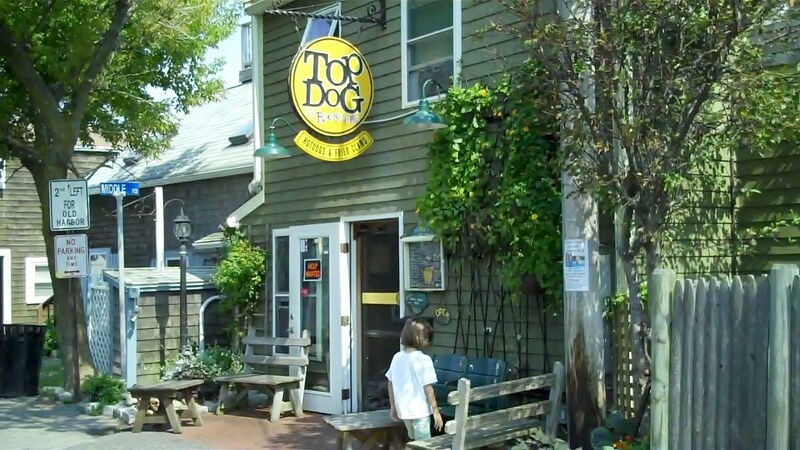 If you find yourself in Rockport and you need some food, head on over to Top Dog. 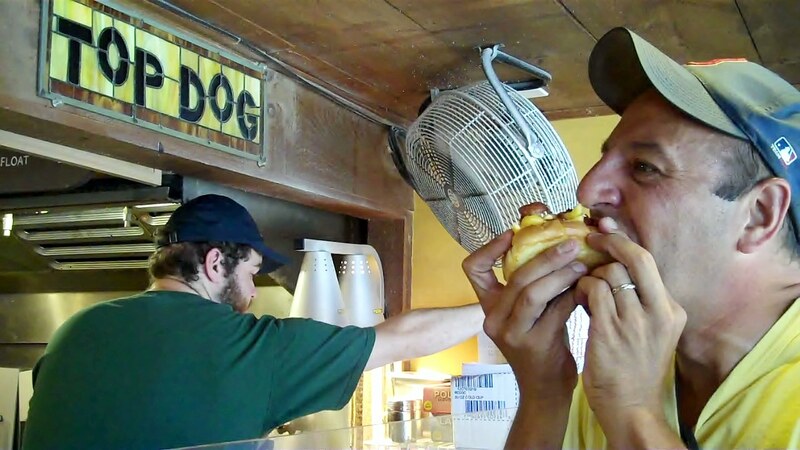 Make sure you tell Scott, "the Hotdogman sent me." 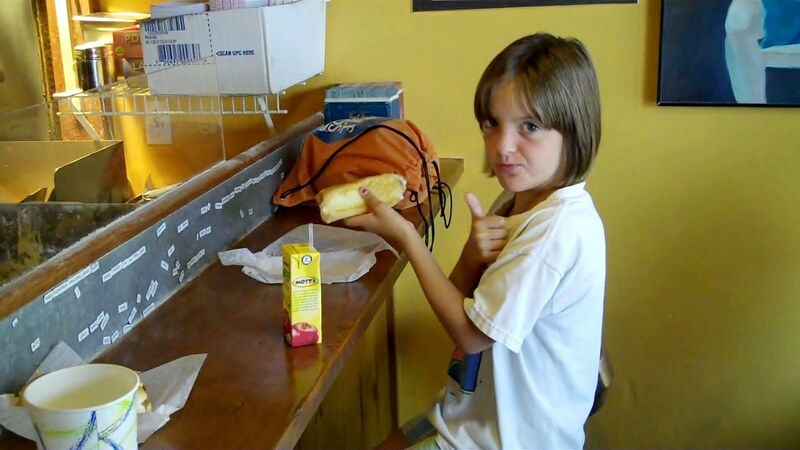 Check out the video of our visit to Top Dog on Hot Dog Stories.